for Features, Special Offers, Recipes and more! See what they are saying about itandi. Learn about our advertisers, sponsors and editorial partners. 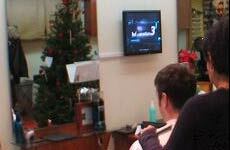 itandi networks is an out-of-home (OOH) digital media company reaching a captive audience in a unique setting—hair and nail salons. Advertisers can use itandi for much more than just powerful branding. 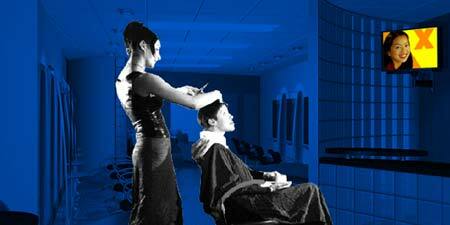 Salon Owners enhance their image and improve the in-salon experience for their clientele. Salon Customers connect with advertisers and itandi's news and lifestyle content, including featues, special offers, contests and more. Beyond Salons itandi's digital broadcast networks can provide any business exclusive programming targeted to your audience in your retail space. There are many benefits to joining the itandi network, like entertaining your clients and enhancing the image of your salon. Find out more! itandi is a unique solution to advertising clutter. Find out how you can define and reach your ideal target on our growing network. Do you publish editorial content? Expose your content to a captive audience each and every day on the itandi network. 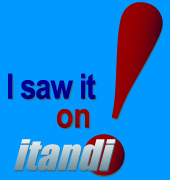 Entertainment news, sports, business updates and more are the perfect complement to itandi’s advertainment. Find out more!